With more than 3,200 miles of sanitary sewer lines in service, the Metropolitan Sewer District (MSD) collects wastewater from more than 270,000 homes, businesses, and industries in the Louisville metropolitan area. 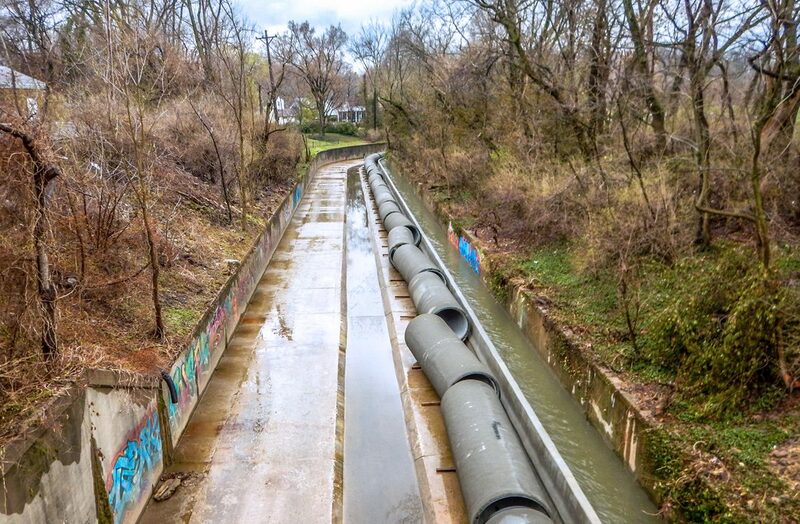 As is the case with many sewer systems throughout the country, MSD entered an Amended Consent Decree in 2009 with the Kentucky Division of Water and US Environmental Protection Agency to meet the requirements of the Clean Water Act. 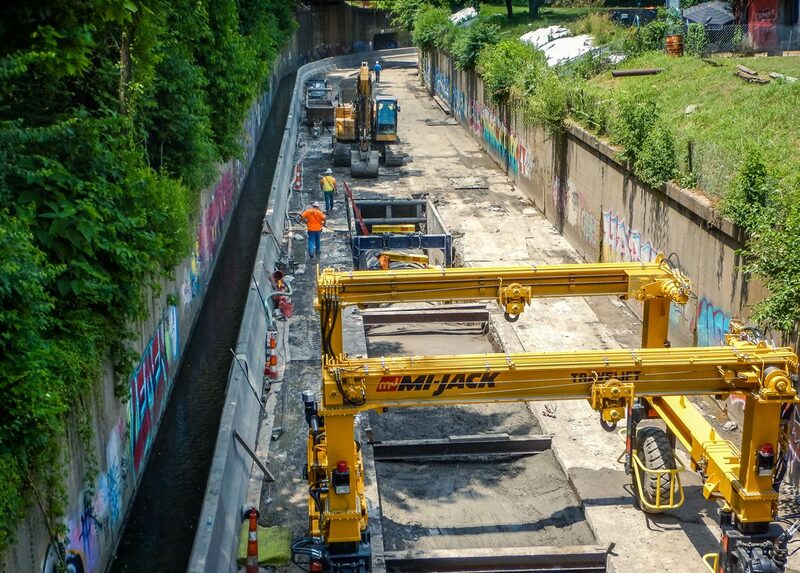 Project WIN (Waterway Improvements Now) was formed as a complete sewer improvement program to spearhead the task of being in compliance with EPA standards. Garney was selected to construct the Logan CSO Interceptor Project as part of the Project WIN program. 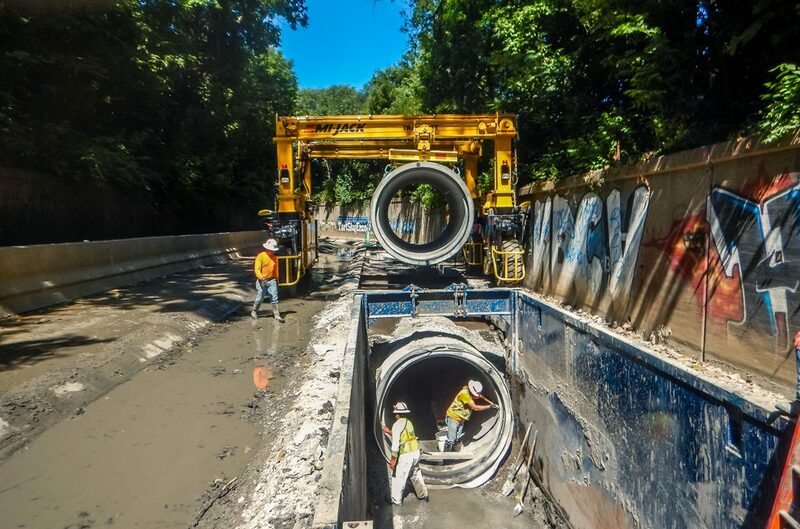 This consisted of installing 10,885 LF of PCCP and PVC combined gravity sewer ranging from 24″ to 96″ in diameter to convey flow from 12 combined sewer overflows to a future basin site. 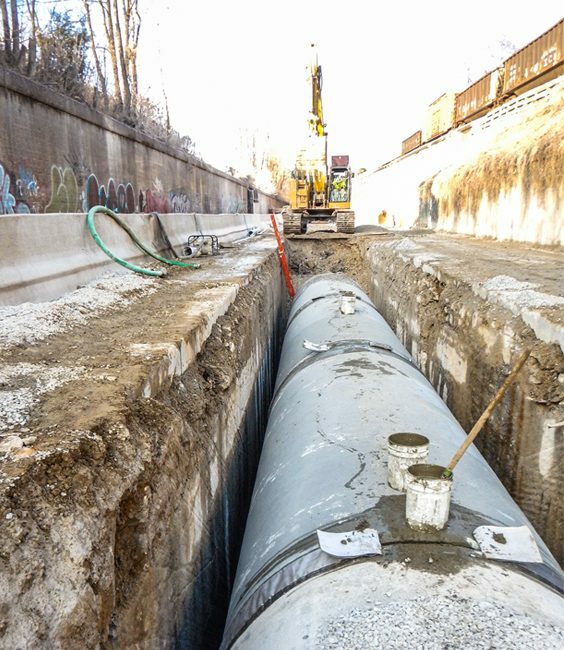 The alignment of the interceptor sewer was within and along the South Fork of Beargrass Creek in the Germantown area of Louisville which required small sections of bores and hand tunnels due to the location. 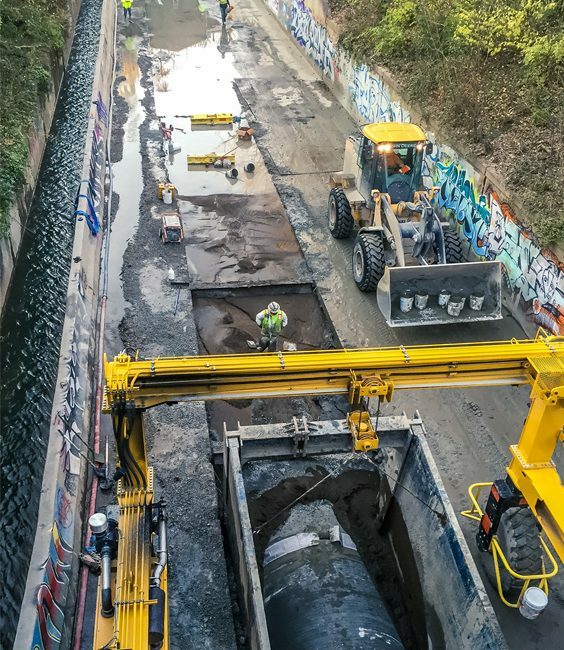 As part of the collection of the combined sewer overflows, the scope of work included the installation of numerous junction structures, diversion structures, control vaults, and electrical utility services. 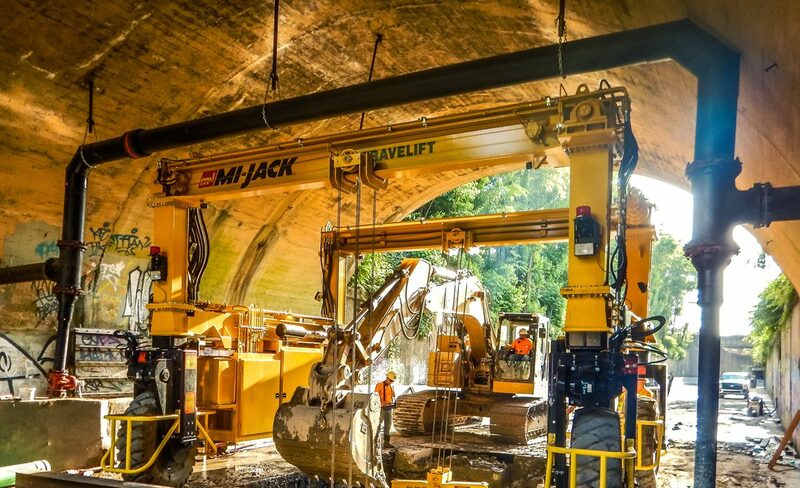 The project also included extensive removal and replacement of the improved concrete channel in the South Fork of Beargrass Creek, various water control and dewatering systems, excavations up to 35 vertical feet using multiple shoring systems, erosion and sediment control, some rock excavation via hoe ramming, minor bypass pumping, and various surface restoration including both asphalt paving and concrete flatwork.